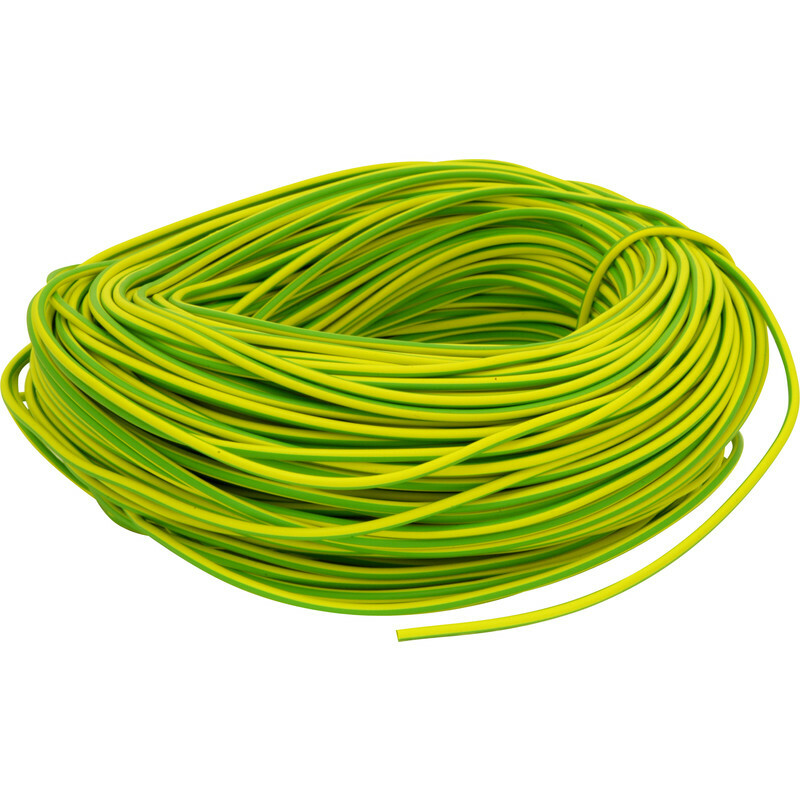 PVC Earth Sleeving 100m 3mm Green / Yellow is rated 4.6 out of 5 by 11. Rated 5 out of 5 by _____ from Earth sleeving It fulfilled a function. Great, Fantastic. Rated 5 out of 5 by Refrewmike from Huge roll As a small jobber 10 metres would last me a lifetime. 100 metres is a ridiculous amount so I suppose my children and grandchildren will eventually inherit the remaining unused metres!!!!! Rated 5 out of 5 by Rod D from Easy to use sleeving I bought a very similar sleeving pack many years ago, recently finished. I was delighted to find this excellent product, firm enough and keeps its shape so easy to thread onto wire. In between I had a pack of soft flimsy sleeving which kinked, I threw it away. Rated 5 out of 5 by Steve 513 from Excellent Product, inexpensive As perhaps always, only needed less than a metre. but my son is an electrician so hopefully he can use the remainder. Available from stock and fitted the requirement perfectly.